It is our great joy to present Shingo Nakamura's "Only Silk 02", the second edition in the annual compilation series, inspired by the acclaimed Frisky Radio show of the same name. A continuous mix of fourteen progressive and deep house cuts, written by a variety of celebrated international artists, "Only Silk 02" showcases the "classic" progressive house style of Silk Digital, as well as the signature deep house vibe of affiliate division Silk Textures. Japanese sensation Shingo Nakamura is one of progressive's most beloved talents and an artist who has contributed more tracks to Silk over the last 6 years than any other. With an artist album and countless top-charting singles to his name, not to mention consistent radio support by many of the world's leading house, progressive, and trance DJ's over the last few years, Shingo continues to find inspiration as an artist, never failing to captivate audiences with his exceedingly emotive and visionary compositions. 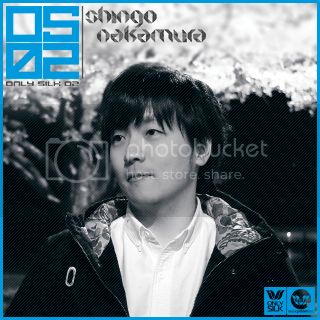 Leading, as usual, by example, Shingo features three brand new cuts of his own on Only Silk 02, as well as a previously unreleased remix by Talamanca of one of his most famous compositions, "Sapporo". Inspiring new productions by Arthur Deep, Dan Sieg (of Dan & Sam), Gal Abutbul, Outlook, Asten & Stendahl also grace this year's edition.